Christian Walker – Defence and Security; Chinese and US politics. 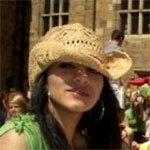 Shachi Amdekar is a graduate in Economics from Durham University. Areas of interest include British Economic and Political history, Imperialism and Development Policy. Her views are moderate and Keynesian, and her approach caustic. A mere observer of the many ineptitudes and rare triumphs depicted in today’s affairs. Luke studied in London where he recieved a MSc in US Contemporary History and Foreign Policy. He also has an interest in religion, especially the Catholic Church and its labyrinthine inner workings and politics. View Luke Cahill’s articles. Sylvia’s area of focus are India and Pakistan studies and also Iranian politics. View Sylvia Mishra’s articles. To contact Politics On Toast’s editorial desk call +44(0)7875 282 269 or email us.